Patrick gave me this book for Christmas, 2010. Such incredible beauty, I read a few pages at a time, just to absorb all the beautiful churches in 1700 years of church building!This book is worth paging through from time to time -- there's too much information to truly absorb and appreciate.The book seems to end abruptly. No conclusion, just the last church treated. My atheism cannot hold back the joy I feel about architecture of a godly nature. Though I wish it were not so, their ancient greed has given us some of the most beautiful things to look at. Their intrinsic need for affirmation, as they bribe the heathens in with their gothic style, makes them appear nothing but human. Everything you could want in a coffee-table work. Sumptuously beautiful photography. Enlightening text. The standards and the unexpected. Spiritual uplift. It cover antiquity to the 20th century, but concentrates on Europe (without Russia), with brief forays into the New World. Within those limits, it is beautifully unsurpassable. Beautiful pictures but didn't care for this book. Writing often is describing the outside of buildings while pictures were of inside. Did not include any map locations and often found myself trying to figure out what country and location I was in. It's a wonderful book because of the magnificent photos.The text is minimal, but for more info you can go to the web or other books. Great, great book. 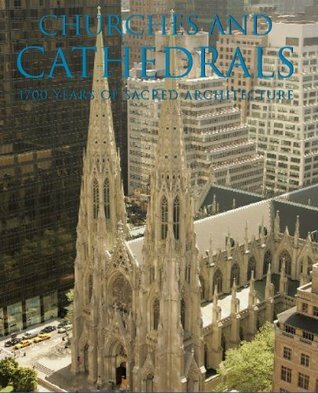 If you love cathedrals you'll love this book. Rolf Toman Achim Bednorz Barbara Borngässer - Originally, Rolf Toman wanted to become a teacher but he spent the years following his second state exam working as a publishing editor at a large international publishing house. From 1992 onwards, he worked as an independent publisher for various international publishing houses. Publications on art history epochs were at the center of his work.